belleamejanice @dupreezy Hi! Yes, I do have pictures but these stock photos show the best color in my opinion. I will attach the photos now so you can see. It’s always hard to get the lighting right! dupreezy @belleamejanice thank you! I really appreciate it:) I had a pair of these a while ago and wore them until they ripped in places I couldn't fix lol would love to get a new pair! belleamejanice @dupreezy @dupreezy Your so welcome! I just posted the pictures. And I know, they are so comfortable and well made! I would say the color is a happy medium between the stock and these photos. Since they are a washed out charcoal, its so hard to get it shown exact! sam10zastyle Hii just wondering the inseam of the size S!? belleamejanice @sam10zastyle Hi there! The inseam is 28” and I have 1 small left! Please let me know if I can answer any more of your questions. 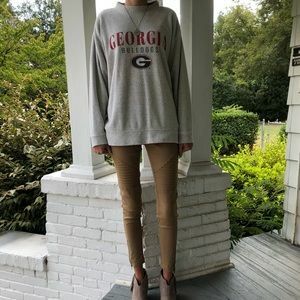 These are super cute and comfortable! mintmolano @belleamejanice hi! 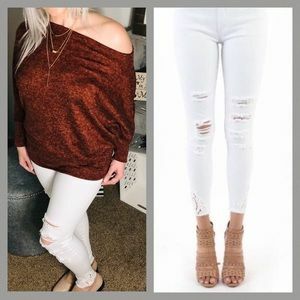 Amazing jeans 😍😍😍 what’s the waist measurement on the small and medium? Also, how stretchy is the material? 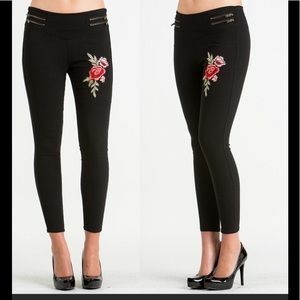 belleamejanice @feisty0121 the small in these would fit a 0-2 or I wear XS and these are very similar in size and fit. I hope one of the 2 will work! 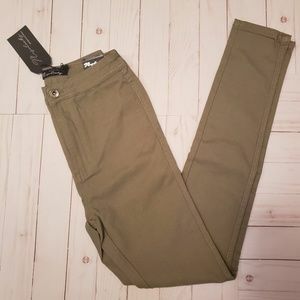 I haven’t found this style in XS from any brand, so I’m not certain they make them in XS as the small is very small. belleamejanice @feisty0121 I have the black in Small that have been washed and worn only a couple times for pictures. If you would like them, I will sell them. They are in excellent condition and look exactly like the brand new ones. Let me know and I can add the small to the listing. feisty0121 @belleamejanice can we do it after Christmas? I also tried on a small when I was shopping today and they were big. Are you sure that a small will fit. 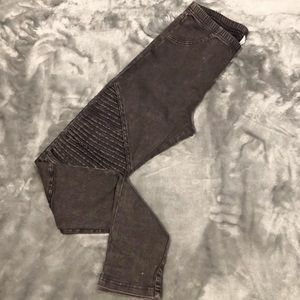 I'm a size 0-1.
belleamejanice @feisty0121 in the above charcoal you will not have a problem, they are very small, if you want the other ones that are denim, the small still might be too big, I’m not sure. The charcoal is MUCH smaller than the black acid washed small. feisty0121 @belleamejanice I wish the black one were small. Im going to think about the grey. I will probably take them but it has to be after Christmas. belleamejanice @feisty0121 yes I understand, they are just 2 totally different stuff air of pants. 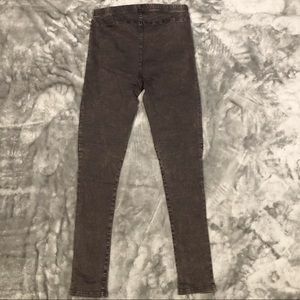 The charcoal are small and compact like leggings and the black are like an actual pair of skinny jeans with an elastic waist. And they don’t make the black in XS so I really don’t know if they will be small enough. I have 1 pair of small charcoal, so you can check back to see if they are still available after Christmas. I’m so sorry u are having so much difficulty, these are great pants, both pairs! 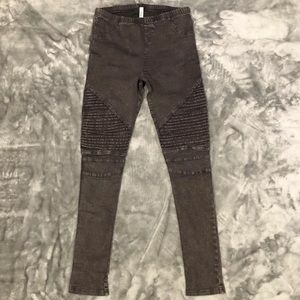 feisty0121 @belleamejanice the one I had were stretch jean type of material. I will talk to you after Christmas. Thank you. feisty0121 @belleamejanice you were a big help. I appreciate you respond in quickly. You specified leggings and denim. Some don't do that. I will speak to you soon. Have a safe and wonderful Christmas!!! Enjoy!! 🎅🎄 hohoho!!! belleamejanice @robinlongacre no they r not real pockets unfortunately.